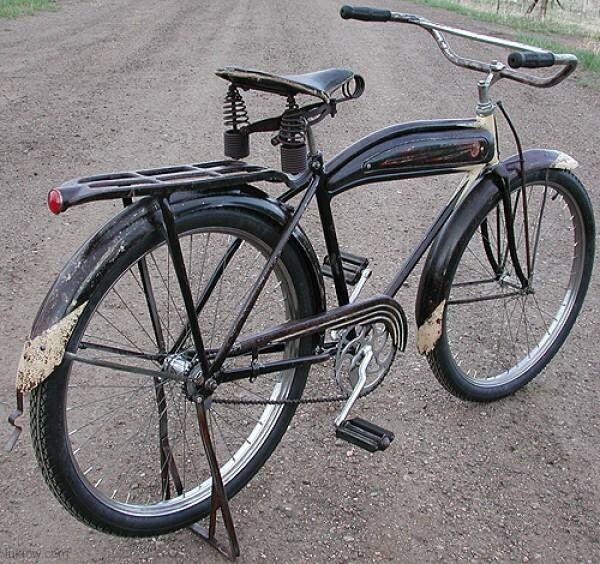 This Antique Roadmaster Ballooner Tank Bike was made by Cleveland Welding Company (CWC). 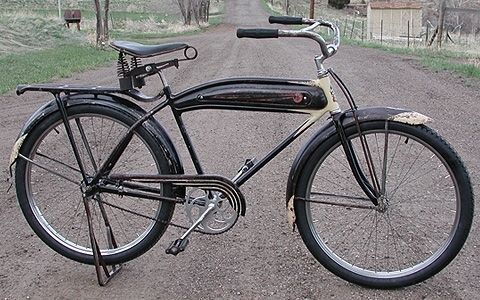 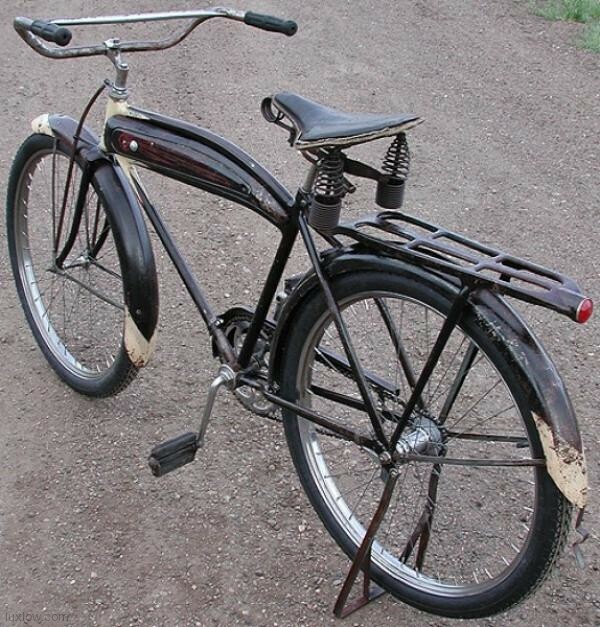 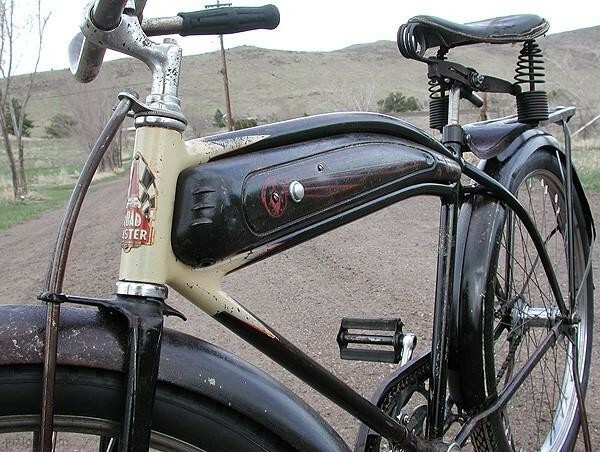 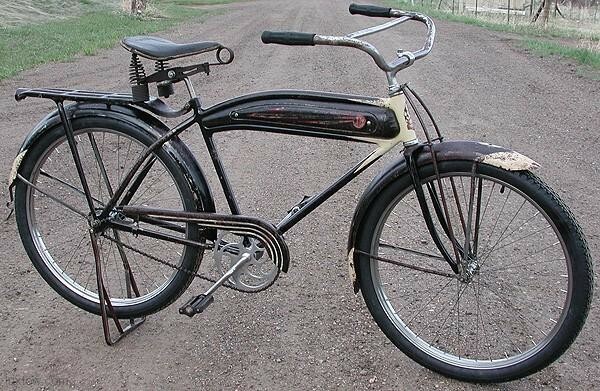 The Vintage Fat tire Cruiser Model 0926 was Considered a Standard, but had Many Deluxe Features including the Tank, Horn, Rack, Strutted Gothic fork, Chain Guard, Drop Stand and Fenders. 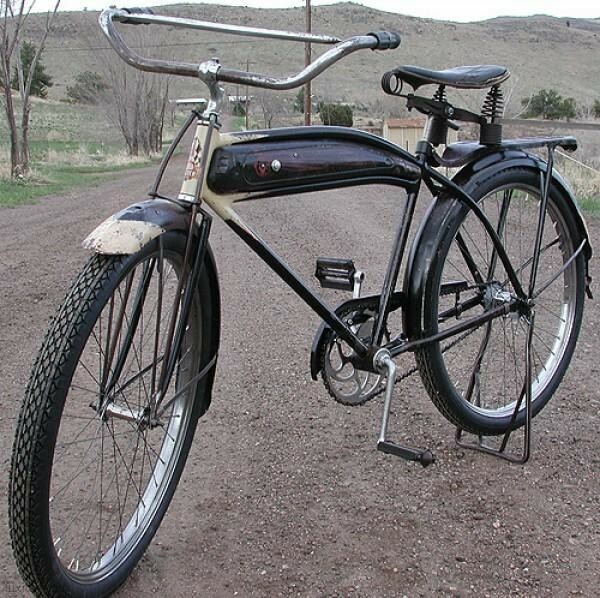 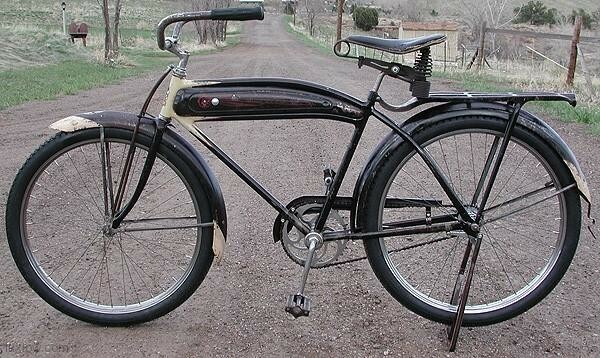 This is a a Wonderful Early Prewar Roadmaster with Great Patina. 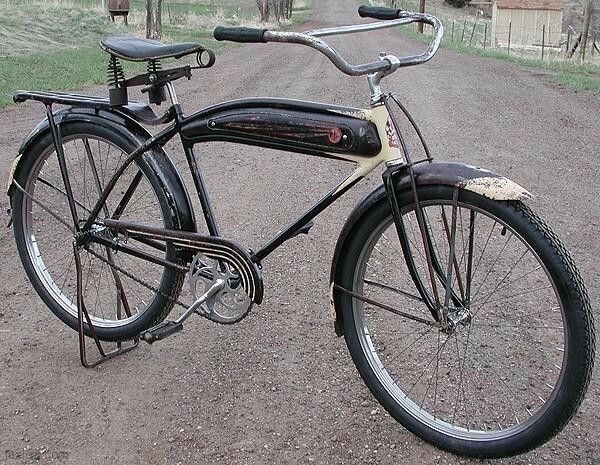 I would elaborate more on this Bike if it was for sale, but this Beauty Sold Off the Stand Before Completed! 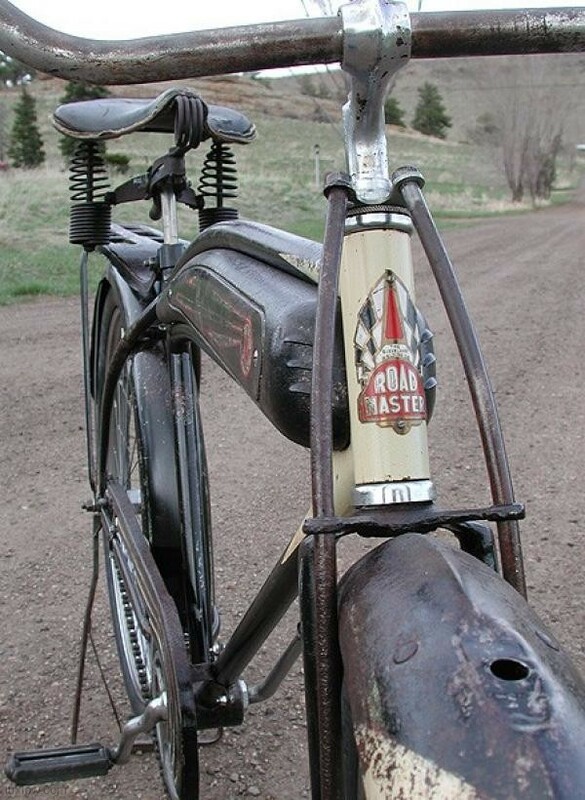 Enjoy The photos of this Great Bike.